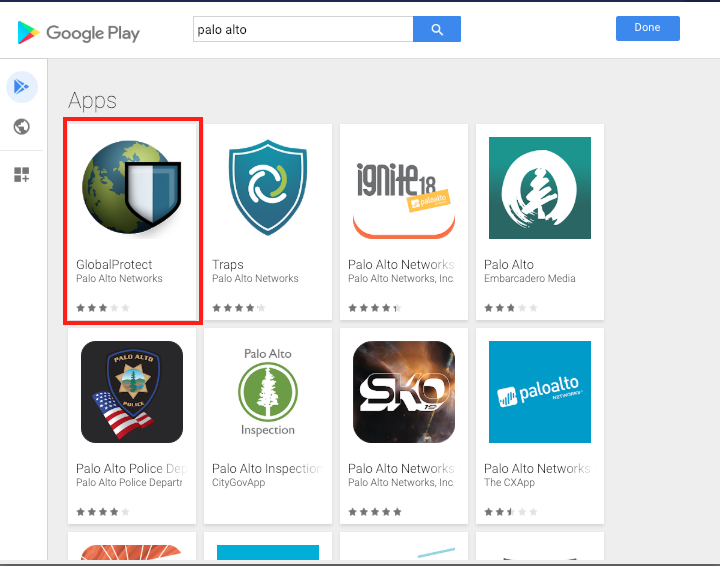 MobiLock and Android for Work makes it easy for you to configure Palo Alto VPN on your managed Android devices. 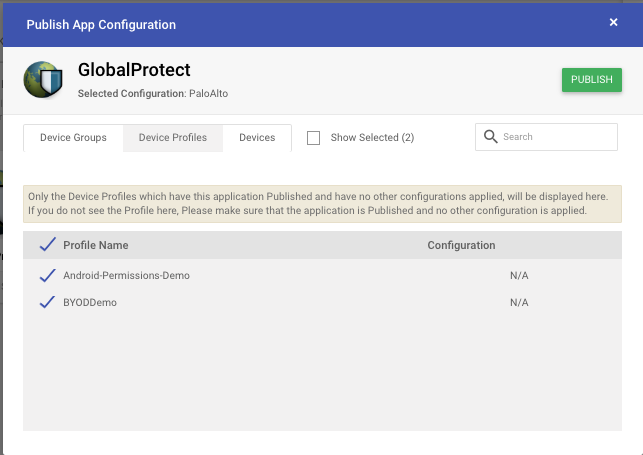 Follow the guide below to configure Palo Alto. 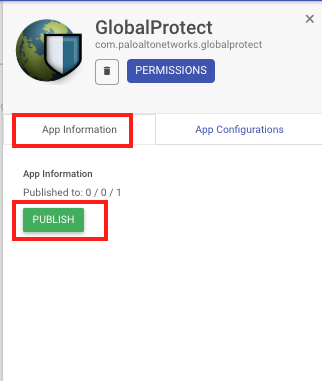 Click on the GlobalConnect application to see the details card. The portal address or the server URL of the GlobalConnect VPN server. The client certificate to be used for login to Portal. The passphrase for the client certificate if the certificate is passphrase protected. 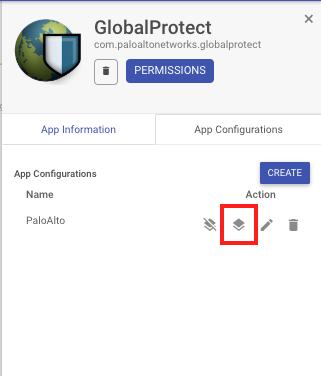 Comma separated list of apps that need to be blacklisted or whitelisted for VPN. 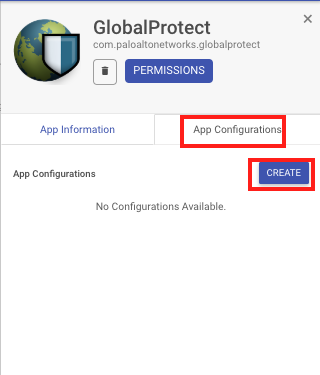 The VPN Connection method to be used. 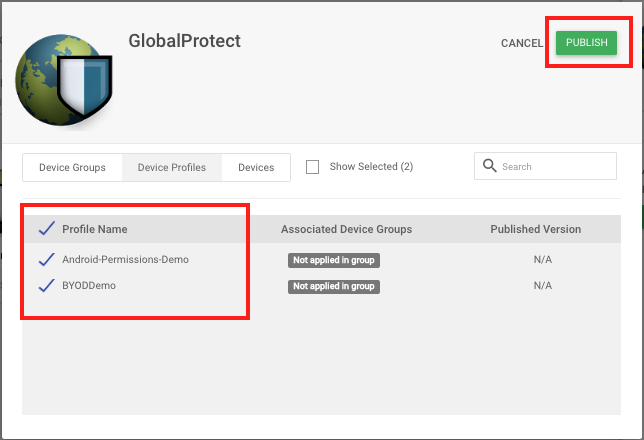 A unique identifier for the device. You can use the $device.customproperty. 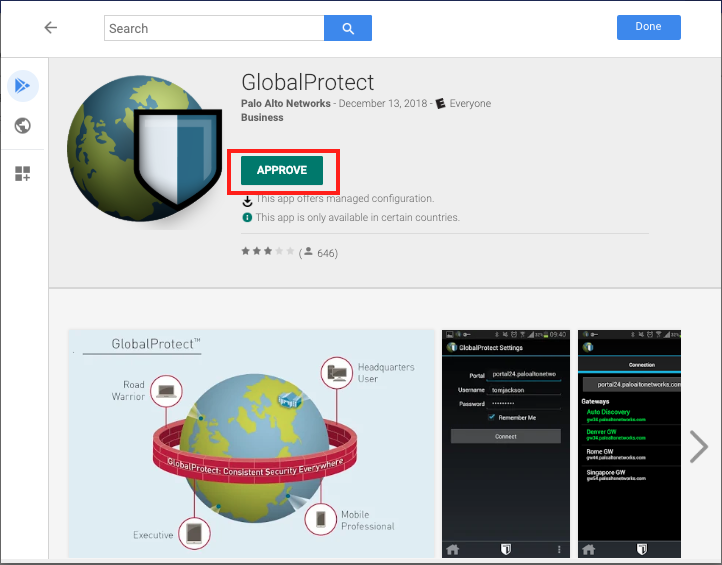 Choose if you want to allow the VPN to be bypassed by applications. The Alias of the client certificate if any.